Get In Touch, Get Involved! 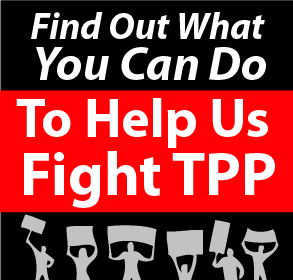 Connect with us to get involved in stopping the Trans Pacific Partnership from changing the course of our future forever! Carlos and all, I’m updating CopsWiki on TPP activities, and don’t know how to list the Monday evening People’s Conference. Is it at the Logan Heights library or at the address that you have listed, 820 E Street which is the Central library?